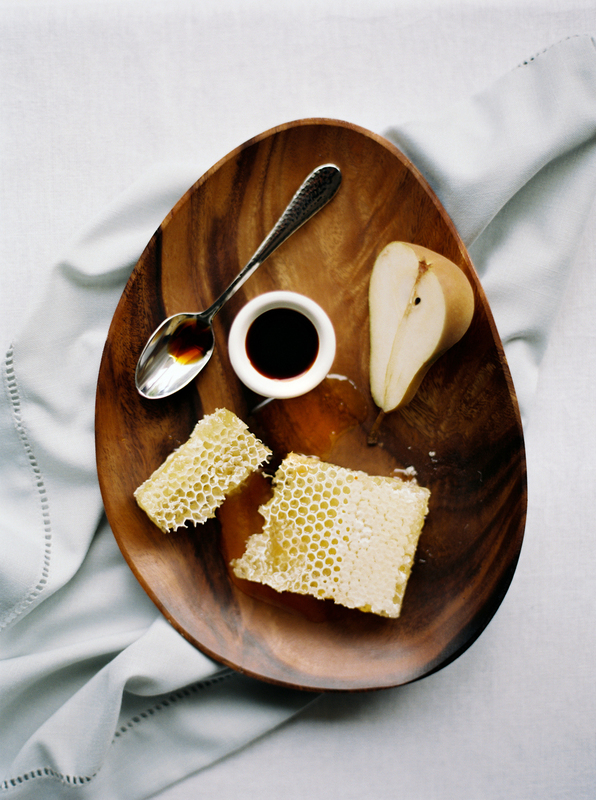 Canning can be a bit intimidating but these delicious pears and honey are beautiful and simple! We are thrilled to have Silver Cup Artist Aileen of Plume Calligraphy sharing this easy recipe with you today! 1. Sterilize jars by placing them in boiling water for 10 minutes. Keep the jars warm in the water until you are ready to fill them. 2. Wash the pears and cut them in half. Remove the core with a melon baller or cut core out with a paring knife. If you prefer a smooth texture peel the pears. 3. In a sauce pan heat enough water to fill your jars till boiling. 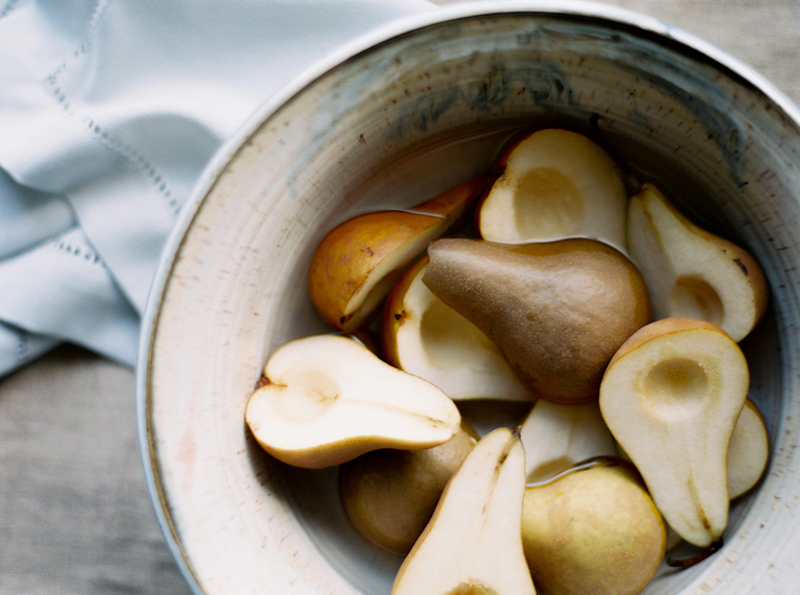 If you If you’d like to sweeten your pears a bit, you can add honey and vanilla to your boiling water mixture. Note : Play around with the amount of honey you add, depending on your desired sweetness! 4. While water is coming to boil, fill boiling water canner or large deep sauce pan with a lid and rack half full with water. Place over high heat till boiling. 5. Pack the pears into hot, sterilized jars, and cover the pears with boiling water mixture, leaving a 1/2 inch space from the top of the jar. Screw on lids. 6. Place cans in the boiling water for half an hour. Remove from water and allow to cool. Add lovely labels for gifts or enjoy throughout the year!